It's Sweet Frog season in Lewisburg! We have a great deal for frozen yogurt lovers....and those that LOAD UP the toppings. Get 5 - $5 vouchers worth $25 total to Sweet Frog in downtown Lewisburg, then start loading up your favorite yogurt flavors with every topping you can think of. Use all five at once or save some for another visit. It's all up to you with this Half Price Susquehanna Valley Deal. Don't wait, get here at 9 am on April 10th cause when their gone, their gone! 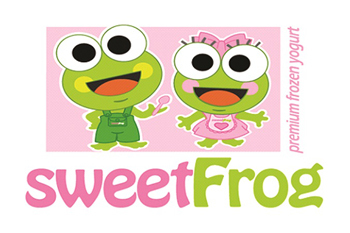 Sweet Frog is a self serve frozen yogurt restaurant with a buffet of toppings.